What is the local currency? What is the best mode of transportation on the island? 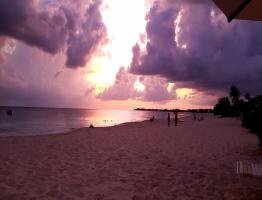 When is the best time to visit the Cayman Islands? Is the water safe to drink? Are there grocery stores on the island? When is my first payment due? Do you send emails after I make my reservation? What time zone is Grand Cayman? Do I have to be certified to be able to scuba dive? Are there beach towels available? Are there paddleboards and kayaks available? The Cayman Island dollar CI$ is tied to the US dollar with an exchange rate of $1 CI = $1.20 US ($1 US=$.80 CI) Since it is tied to the US dollar, the exchange rate never changes. Payment for goods and services may be made in either CI or US Dollar although change will likely be CI. What is the best mode of transportation on the island? * Most guests of The Anchorage prefer to rent a vehicle. There are a number of car rental companies on Grand Cayman Island. Remember...Driving is on the left! * Minibuses run along the length of Seven Mile Beach right past The Anchorage. * Taxis operate throughout Grand Cayman Island. * And no, there is not Uber or Lyft on the island. When is the best time to visit the Cayman Islands? Anytime is great to visit the Caymans! 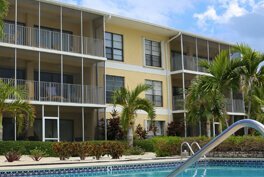 Although hurricane season officially lasts from June 1- November 30, Grand Cayman has been relatively unscathed by storms since the devastation of Hurricane Ivan in 2004. Additionally, "rainy season" is from late May until late November. However, it does not rain every day. Often showers are short bursts followed by clear skies and plenty of sun. And of course winter is a wonderful time to get to sunny Grand Cayman! Temperatures average 77-86 degrees F (25-30C) year round! Absolutely! Drinking water is perfectly safe throughout the island. Are there grocery stores on the island? Local grocery stores are well stocked with most of the items you can get in the states as well as many international selections. Gluten free items are also readily available. Foster's Grocery and Jacques Scott liquor store is only a short distance (less than a mile) from The Anchorage. ** All grocery stores and liquor stores are closed on Sunday. The deposit is due at time of reservation to confirm the booking of your condo. Do you send emails after I make my reservation? We do send emails to our guests such as booking confirmation and payment receipts. You may also call the condo office and speak to either the manager or assistant manager with any questions. What time zone is Grand Cayman? The USA enjoys daylight savings, but the Cayman Islands, being nearer to the equator, has fairly equal periods of day and night year round. There’s only about an hour’s difference in daylight between June 20th and December 20th. So all year, Cayman has the same time, -5 hours Coordinated Universal time (UTC). This means the Islands share Eastern Standard Time (EST= -5 UTC) with Miami and New York from November through April. When the USA switches to Daylight Savings Time in April, Cayman then shares Central Daylight Time (CDT= -5 UTC) with Chicago and Houston. This doesn’t cause too much confusion – it’s automatically factored into airline tickets. Residents sometimes think in terms of Miami time. Half the year, we have the same time as Miami; half the year, we’re an hour behind Miami. However, being aware of the situation is important if you have to call California before noon Pacific Time. Residents also notice what happens with American television schedules: since most television viewed locally is picked up from the east coast of the USA, during EST network evening programming begins at 8pm, and during CDT the same programming starts at 7pm. Do I have to be certified to be able to scuba dive? 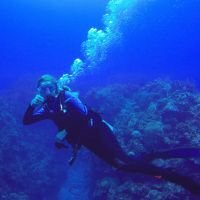 Many of the dive operators on the island offer a discover scuba dive course (DSD). After an onshore class to familiarize the novice with equipment and technique, they will give an underwater skills test, and off you go! There is a limit to the depth you can dive as a DSD diver, but there is plenty to see and experience at 40 feet. Are there beach towels available? Beach towels are included in your guest experience at no charge. Are there paddleboards and kayaks available? Kayaks and paddleboards are available to rent on a daily or weekly basis from companies on island. For more information on all watersports click here. Most will offer delivery free to The Anchorage. Local Weather at your fingertips. Click here for current weather conditions on the island. 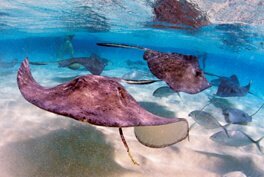 HERE ON GRAND CAYMAN , THERE IS SO MUCH MORE THAN JUST PERFECT BEACHES. So much more than just a gorgeous beach paradise.